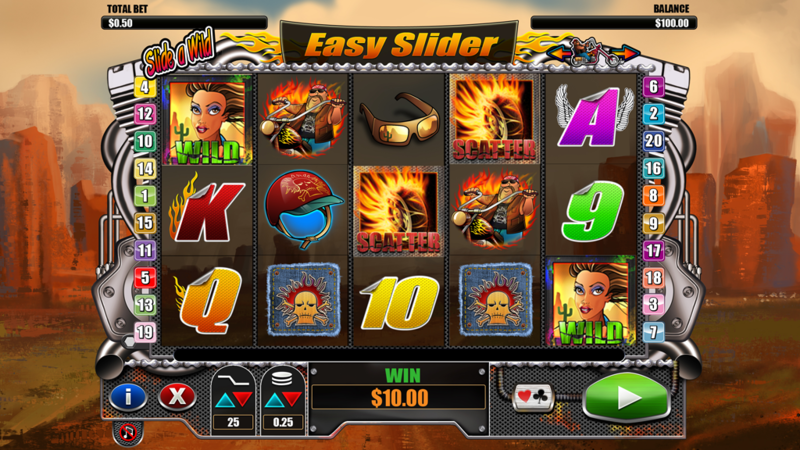 Easy Slider is the perfect video slot machine for any motor head out there. 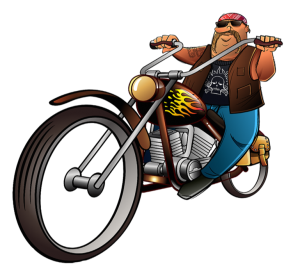 This biker themed video slot machine comes with some unique features that can’t be found anywhere else just at the games powered by NextGen Gaming. You will be able to unleash the horse power with the help of this compelling online slot machine and there are 5 reels and 25 pay-lines to do it. It all starts with some loud guitars and in order to make things even more exciting there is the possibility to control the game with the help of the popular and innovative “Slide a wild” feature. The biggest jackpot available is worth only 500 coins, however this shouldn’t let you down as there is always the possibility to trigger other features that will help you boost your bankroll fast and easy. 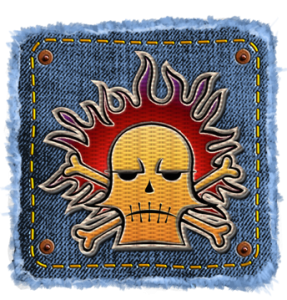 The flaming bike wheel symbols are the scatters and these can help you activate the free spins round where there are 15 free plays awarded instantly. During this bonus round all the wins that occur when an Enhanced wild appears on the reels will be double. The thing that makes Easy Slider slot very captivating and unique is the Slide-a-Wild feature. What you have to do is to hold the Harley motorcycle that is on top of the reels and you have to do that up until you hit the reel you want to select. This way you are given the opportunity to enhance your favorite reel and get stacked wilds plus an increased wild multiplier. The multiplier can go up to 6x. Easy Slider comes with an autoplay feature that allows you to select between 5 and 100 spins that are played automatically, without you having to click on the spin button. If you wish to get some additional chances of enhancing your winnings, you can always click on the gamble bonus. Play a simple game and watch the money rolling in your pockets. This way you can either double or quadruple the money you’ve just won. One of the best feature that you can find while playing this game, apart from the free spins round is that from time to time you will notice that this game can trigger some big wins. These will happen when 3 or more wild symbols appear on your reels. The Easy Slider is a video slot machine full of colors and full of life. As soon as you hit the winning combination the game turn some vivid animations. Overall the Easy Slider slot is a good way to keep your online casino balance up. Some players might find the sound effects a little bit annoying and noisy, but it all makes sense since this is a motorcycle themed video slot machine, these are always supposed to be noisy. You can always hit the off button for the sounds and this won’t cause you any problems. If you are a big fan of the heavy metal music, this might not prove to be a problem. 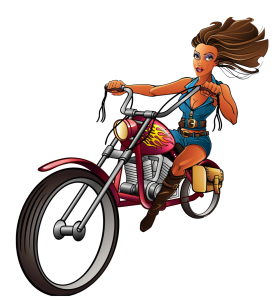 There are many motorcycle themed video slot machine and there are a few things that make this game stand out of the crowd. Since it’s created by NextGen Casino, you should be able to find a couple of features that are only available for this game only.